Save a little space on the Thanksgiving dessert table for Chef Justin Beckett’s award-winning Fig & Pecan pie. Available for pre-order for $28 from Beckett’s Table and Southern Rail from now until Sunday, Nov. 20, this twist on the classic southern pie is giving its pumpkin counterpart a run for its money. Dinner guests will be swooning over this memorable dessert which boasts a perfectly balanced fruit and nut filling and a tender, flaky crust. 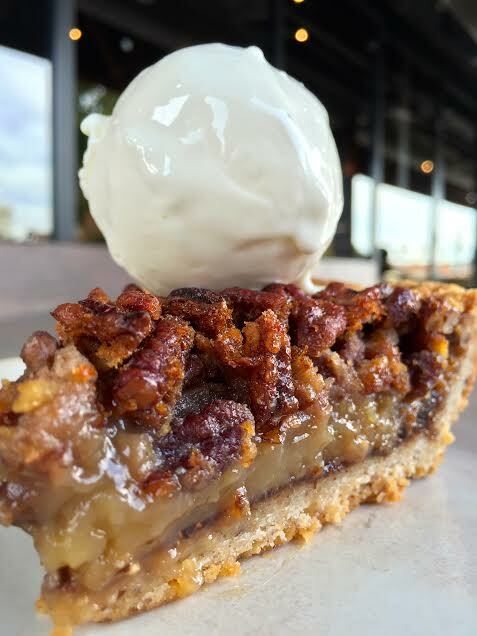 For an added flavor bonus, the Fig & Pecan Pie can be served alongside a pint of Chef Beckett’s house-made citrus zest cream cheese ice cream, available for $8. Place your order by calling or stopping by Beckett’s Table or Southern Rail. Orders must be placed by Sunday, Nov. 20 and pies will be available for pick-up between 11 a.m. and 6 p.m. on Wednesday, Nov. 23. Pie orders placed at Beckett’s Table must be picked up at Beckett’s Table and pie orders placed at Southern Rail must be picked up at Southern Rail. Beckett’s Table is nestled in the Arcadia neighborhood of Phoenix at 3717 E. Indian School Rd. Phone: 602.954.1700. Southern Rail is located at 300 W. Camelback Road in Phoenix. Phone: 602.200.0085. For more information, please visit www.beckettstable.com and www.southernrailaz.com.